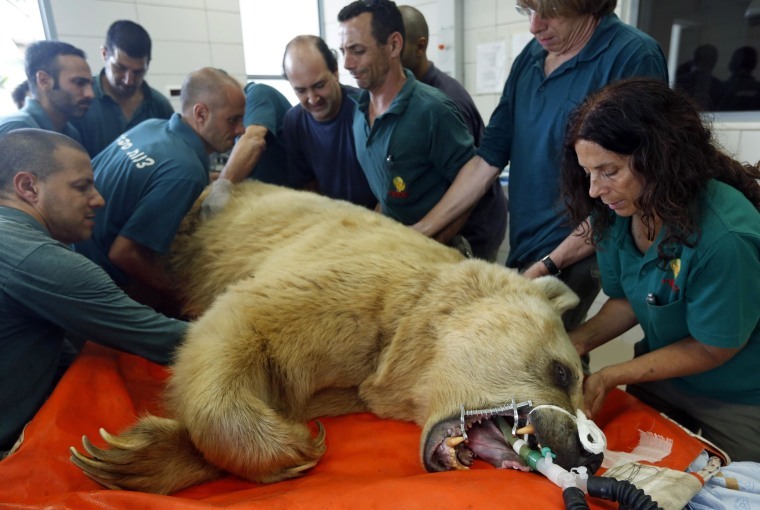 Zoo staff prepare Mango, a 19-year-old Syrian brown bear, for his surgery at the Ramat Gan Safari near Tel Aviv on Wednesday. Mango suffers from a slipped disk, impairing his mobility and causing pain and will undergo a complicated and unprecedented surgery on his spine in the hope of improving his quality of life, a zoo spokesperson said. Brown bears can live 20-30 years in the wild and even longer in captivity.